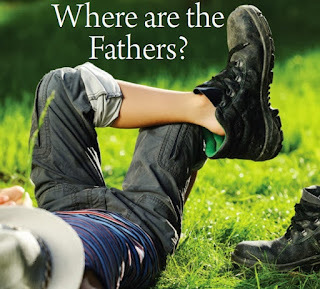 Home / balance / fatherhood / WHERE ARE THE FATHERS? I truly want to appreciate the men that have given me opportunity to talk to them about fatherhood. Being a woman, most men wonder why I am the one talking about fatherhood, I wonder too! But the truth is that this is God' mandate and purpose that real fatherhood be restored, and He uses anyone that is available to bring His will for mankind to pass. 1 Corinthians 1:27, tells us that God's power is not resident in our wisdom as He uses the foolish things to put to shame the wise. I see my assignment in the light of Prophetess Deborah in the bible in the book of Judges 4, she led Barak a man to war, because He requested that He will only go to war, if she goes with him. Every day I make myself available to go with men to war with the enemies of their destinies as we fight to restore true fatherhood in our homes in Jesus name, because at the end only God's name will be glorified in this assignment of building men to become better in every way as men, husbands and fathers. Most times when I see things go wrong in my country and community, I ask myself indeed where are the fathers? Where are the men, God has raised to give direction in their homes? Where are the men He has ordained to be priest, coach, mentors and fathers in the home? Today, we can see from the happenings in our society that Fatherhood is in trouble and we can not stand by and watch while another generation grow up without the presence of fathers in the homes because of poor choices by men and women. Back in the days, a home without a father meant tragedy, either the father went to war and died, he was sick and died or the lady got impregnated and the man left, in any of this case, it was seen as tragedy not to have a man in the home, but today what we see and hear is frightening that the younger generation now have words to describe it as this is my "baby mama" young boys that do not know the responsibility of fatherhood becoming fathers, men have now become workaholics and have forgotten their primary assignment of being fathers. Let's know that Fatherhood started with God in Genesis 1, God created Adam and gave him responsibility but at the end as a result of His self will, Adam refused to be guided by His creator and father and a pattern was set when Cain also went the way of self will and killed his brother. God finally found a man in Abraham that understood real fatherhood and He made him father of Nations. God could boast of Abraham that He will instruct His children to follow after God and obey Him. Before I define who a father is, I will like to give us the statistics of the effect of lack of fathers. So if the US has that kind of statistics, what can we say about our society that serial marriages are permitted with no statistics of how many children men have fathered and left to their fate. Let's know that fatherhood is not about being a sperm donor, it's about responsibility. A father is a male parent or individual progenitor of human offspring. Fathering a child alone does not make you a father but taking up the the role of being a leader in words and in deeds, providing, protecting, coaching and mentoring them using biblical truth is what makes you a father. Many men today are where and what they are today because they never had any make figure in their lives to correct them and be their friend, no body was there to initiate them to manhood, from my study, the Jews till date still have a tradition of initiating their sons by age 13 into full manhood, this rite of passage is taken seriously as the sons are taught from God's words about what real fatherhood entails. So men need to be taught how to be men and fathers. How do we remedy this issue of fatherless generations? How do we remedy the issue of absentee fathers? Let's know it's not just being absent as fathers but when you do not lead as a father, there is a problem. So what is the solution? 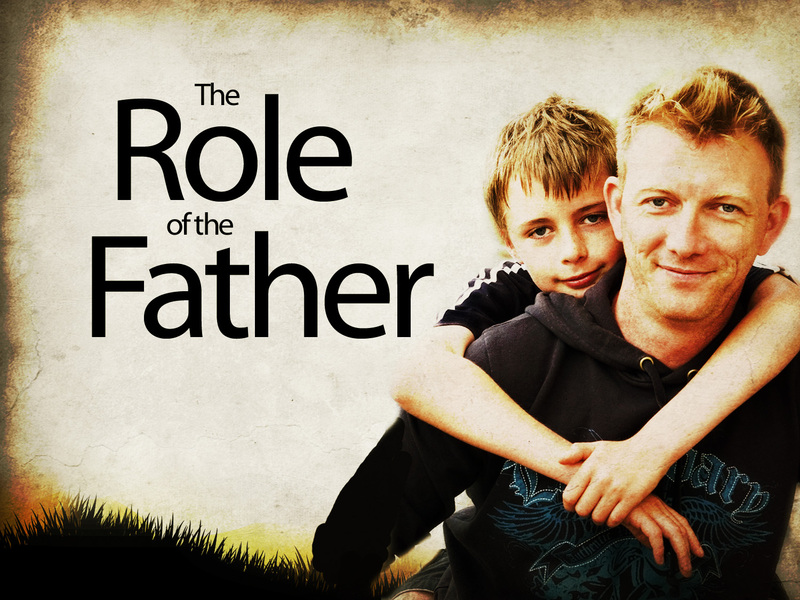 1. fathers need to take the lead in their homes by demonstrating obedience to God. Genesis 17:1-12. In Genesis 18:17, God said he could not hide what He wants to do from Abraham knowing that Abraham will be a father of Nations that will command to keep God's ways. When fathers fail to live for God and fail to teach their children how to live for God and obey Him, they turn their children to wicked and vile men, like Eli's sons . Jacob one of the patriarch in the bible failed to an extent in his role as a father as he did not teach his children how to be impartial and fair. He showed favoritism and this affected his children in the way they treated their own brother Joseph. How many fathers will take going for their daughter or son's recital over a business dinner at work? Many fathers have chosen career over their children, not because they want to but because they fail to make the main thing the main thing.. Businesses will come and go but your children will always be there as you love them through every stage of their lives... Fatherhood is responsibility.. You teach your children values through daily interactions, affirmation and validations. You teach them love as you care for them and meet their needs. Even when you say no to their request, they know Daddy loves them and wants the best for them. It's time to make fatherhood a priority.. You can do it and you should do it. 3. Fathers need to know that they must be the best of themselves to be a great father. Learn to grow as a man in all areas of your life. Take care of yourself by learning from other men, giving yourself a time to unwind and relax plus being accountable to mentors and peers that will help you grow in every way. Fatherhood becomes easy when you have people you can call on to walk you through difficult phases, it becomes easy when you are good to yourself and reward yourself by resting well, exercising and eating right. It's a man that is good to himself that can be good to others. Live long for your family by ensuring you take care of yourself.